Some line movement on the election futures. Now Trump is at 1.87 to get the nomination. 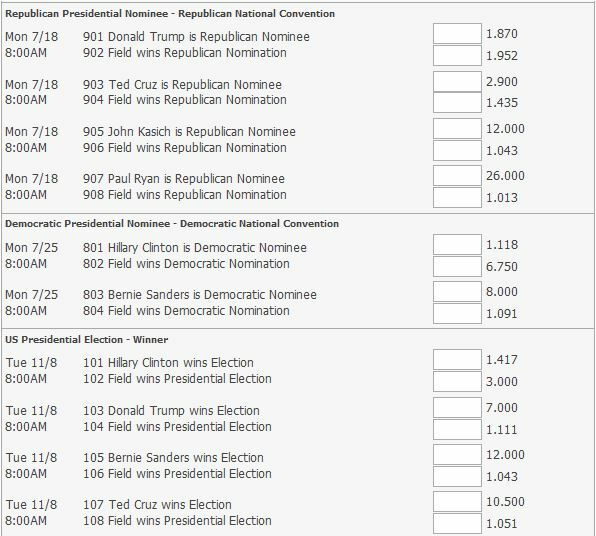 Up from 1.40 , I hope all of the conspiracy theorists got that “Field gets nomination” at over 3.00 . Lets be real people, regardless of what you think of Trump the chance of him getting the nomination are much higher than 1.87. For the whole election Clinton is still the big favorite. If you do have an opinon on poltics then just bet on the other guy and hedge your political beliefs. 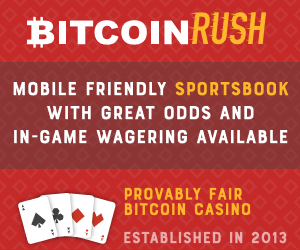 France is the home favorite to win. They have a good team but will they be distracted with all the talk of terror attacks? Germany lost to England in a friendly but that does not mean much. 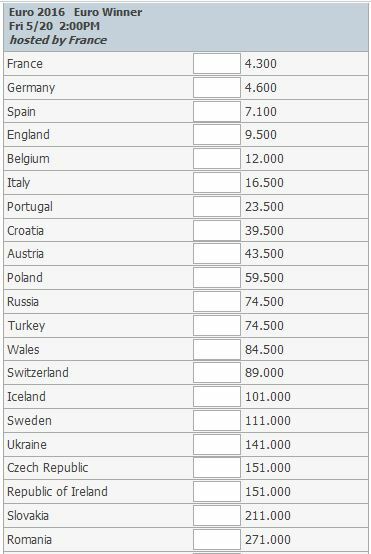 Going to watch the line but if I were to bet today I would take Germany and Belgium as the long shot. MLB season has started. 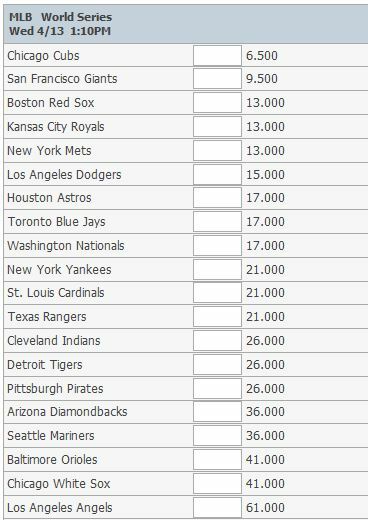 Cubs and Giants are the favs to win the whole thing. Maybe one of them will go on a losing streak and you can catch a good line.